Every Woman in the world wants their face skins are smooth, fair and healthy. Most of them prefer to try modern facial treatment than traditional treatment even the unnatural facial treatment contains a lot of skin trouble risks. “Instant” or quick is the answer they prefer it. 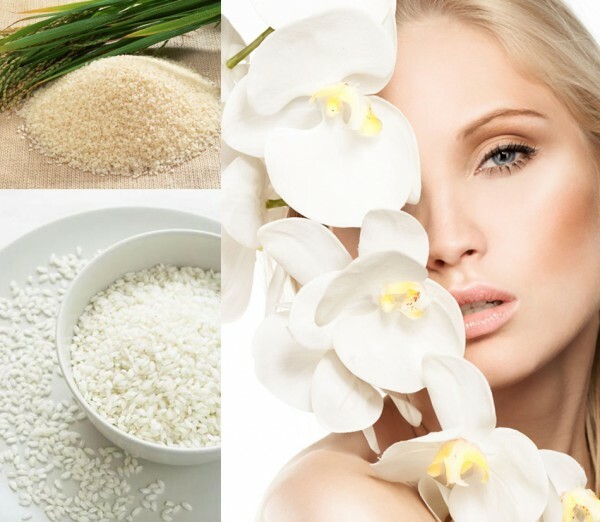 That is why, our beauty tips today is about traditional healthy white by using rice facial peeling in order women knows natural facial peeling is safer than unnatural one. Moreover, don’t you know rice peeling can make your skin youthful and smooth looking? I’m sure you are curious about why does the rice peeling work? The fact is rice contains a high concentration of PABA (para aminobenzoic acid) which is a very good sunscreen. PABA itself also raises the Vitamin C levels in our bodies if it taken internally. Rice also contains two other sun protecting agents – ferulic acid and allantoin. According to scientist the sun protection ability will be doubled if ferulic acid is added to Vitamin C and E. Thus, Ferulic acid is considered as an antioxidant besides allantoin is a good anti-inflammatory agent. Allantoin soothes sunburns and also promotes the skin’s repair. How to make the rice facial peeling? It’s completely easy and quick. First, you just need to take a palm of rice and soak the rice in water for 10 minutes. Then, drain the water and mash the rice till shaped like fine sand. After that, you clean your skin face first then you can peel your skin face by using the rice peeling softly. The last, you wash the peeling of with cold water. you're even remotely interested, feel free to send me an e-mail. Attractive component of content. I just stumbled upon your blog and in accession capital to assert that I get in fact loved account your weblog posts. Any way I will be subscribing on your feeds and even I achievement you get entry to consistently quickly. for the reason that this this web page conations really nice funny material too. love the theme/design), I don't have time to read through it all at the moment but I have bookmarked it and also added in your RSS feeds, so when I have time I will be back to read much more, Please do keep up the awesome work. do with a few % to force the message home a little bit, but other than that, this is magnificent blog. journal every day. I'd like to start a blog so I can easily share my personal experience and views online. Please let me know if you have any kind of suggestions or tips for new aspiring blog owners. Thankyou!